Hello, everyone. Kaki is here again! A few days ago, the blog introduced you what I saw and felt when I went to the Sabae City, Fukui Prefecture. Actually, in addition to the major task of this trip, there is a small episode that I want to share with you. 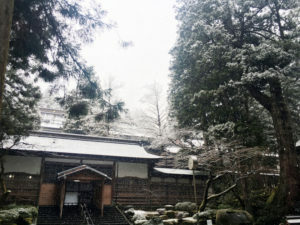 Well, I just wanted to kill the time originally, but the beautiful scenery of Eiheiji Temple in winter amazed me! In the valley surrounded by mountains, there are more than seventy large and small buildings. 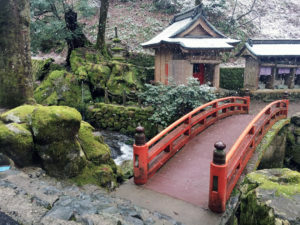 Silent temples and quiet dancing snowflakes shined together. The breathtaking scenery was as impressive as an ink painting. Healedby the beautiful scenery, I was fully motivated and believe that I can face the future work with more passion. In order to convey my enthusiasm to you, I will work harder! Fighting!